In the Outlook update released on October 10 2017, the Folder Homepages setting was deprecated and removed to close a security vulnerability. Removing the folder home page capability "broke" a lot of applications, including Business Contact Manager and Dynamics CRM. If the home page is in a non-default data file (such as a secondary mailbox), you'll need to set the NonDefaultStoreScript value too. See Folder Home Pages in Non-Default Data files for more information and a ready-to-use reg file. When an Exchange mailbox is compromised, e.g. by password spraying, an external attacker can use the Folder Homepage to gain remote code execution within the corporate network by setting the folder homepage to a malicious URL. The folder homepage roams between clients, which means that an external attacker can set a folder homepage to an arbitrary URL, and then roam that into the Outlook client running within the corporate network. When the folder Home Page that you use is one of Outlook's default folders, it's recommended that you use WebView registry entries and use a URL that points to an internal website instead of an external website. 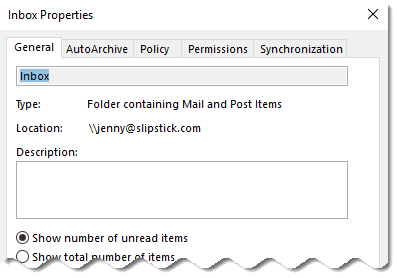 Use the same format for the other default Outlook folders. Administrators can use Office Administrator templates to set these keys using Group Policy. If the folder home page is on a non-default folder (as most are), you'll need to set the EnableRoamingFolderHomepages value, which re-enables the original folder tab and rendering behavior, effectively turning off folder home page security. Administrators can set the policy keys using a logon script or using GPO.